If you have any questions about the JULIET information page below please contact us. 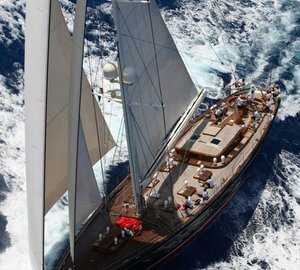 Juliet is a beautiful Ron Holland designed, Royal Royal Huisman built ketch rigged 43m sailing yacht. 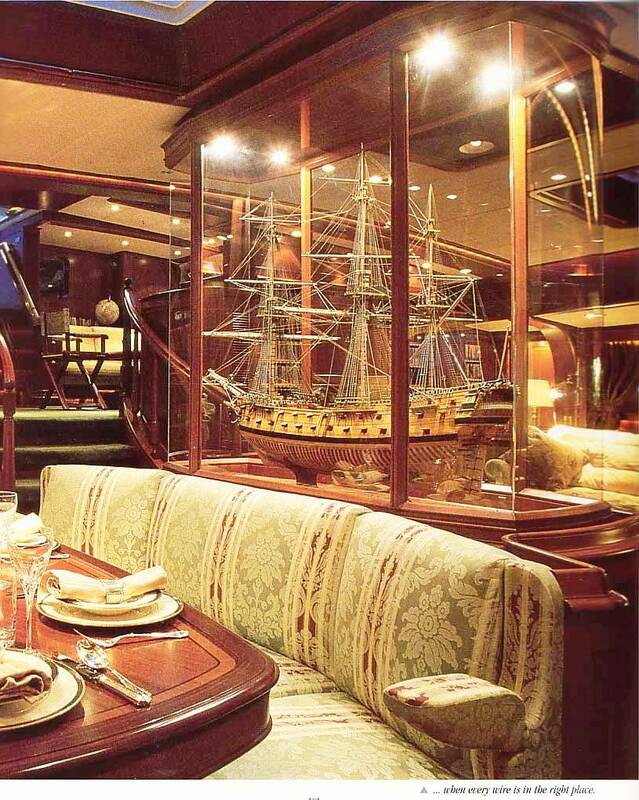 She is a luxurious yacht in every way and was a private yacht in 1993 by the famous Dutch shipyard. She is fully equipped with life's quality luxuries. 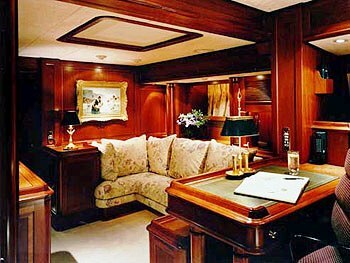 Juliet provides detailed, rich, hand rubbed mahogany throughout. A fully equipped professional galley allows the on-board chef d'cuisine to prepare unforgettable meals for both formal and informal dining. Juliet provides a sumptuous cushioned and shaded cockpit area. 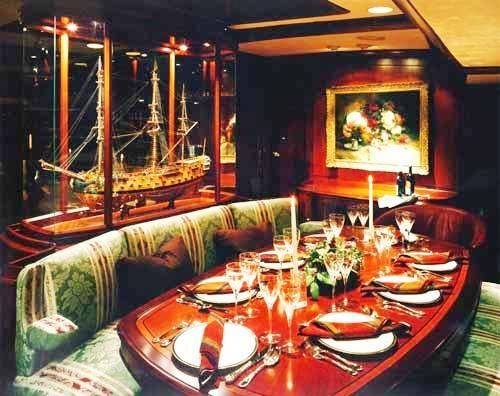 This means there is capacity for al Fresco open air dining by day and for formal or cooler nights Juliet's formal dining area below decks provides an elegant salon for the enjoyment of exotic cuisine and fine wines. Juliet is well equipped with water toys for water skiing and scuba diving, as well as windsurfing. When traveling between ports gets take turns at the helm to experience the thrill of sailing under full sail. 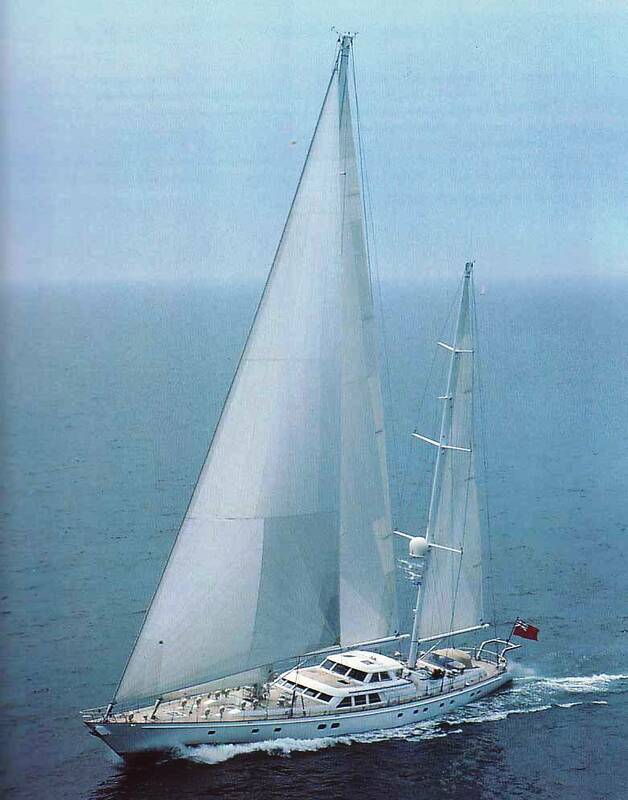 Juliet easily glides along powered by over 887 m2 of wind filled sails. 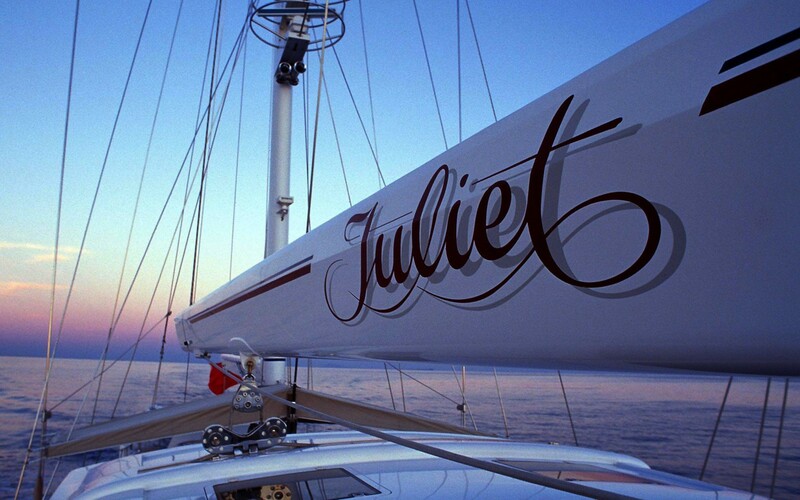 Juliet’s seven professional crew are on hand to help the novice or experienced enthusiast with all types of water related activities and to ensure a truly memorable time aboard this five star floating hotel. 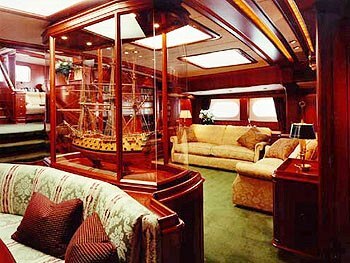 For accommodations the yacht has three cabins and a possible 4th. There is a fantastic full width master with en-suite bathroom with bath tub and separate stall shower -- all in marble. The master has an adjacent study that can be partitioned off to make a good size 4th guest stateroom with settee that converts to a double bed plus a pipe berth with another complete head & shower. There are two further guest staterooms each with twin lower single beds that can convert to a queen size bed -- each has private head & shower. One of these also has an upper Pullman berth. Guest accommodation onboard S/Y JULIET inlcude 4 cabins for 8 guests. The yacht has a beautiful mahogany interior, an upper salon breakfast area, formal dining seats 8, DVD in saloon & master queen suite. Adjacent study to master is 4th cabin with 2 pullmans, 2 cabins with twin lowers (convert to queen), All have itelian marble head/shower. Master includes a tub. 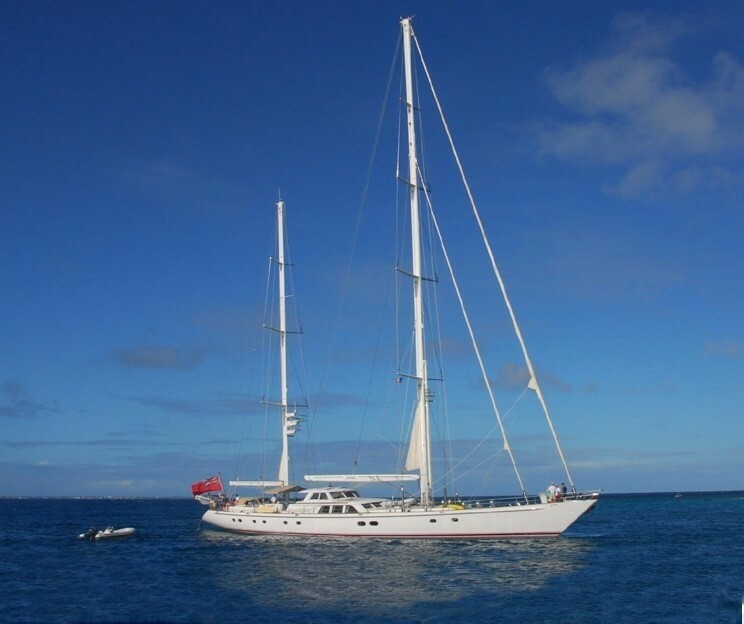 Sailing yacht Juliet's Tenders & Toys include 3 dinghies with 90hp engine, water skis, slalon skis, 2 windsurfers, fishing gear, snorkel equipment, 4 mountain bikes, DVD library, 4 sets golf gear, 2 surf boards, 2 kayaks, 8 scuba tanks. Audio Visual Equipment and Deck Facilities stereo cassette, CD player, speakers in cabin and cockpit, TV, VCR On deck: sailing awning, bimini, dodger, shower, swim platform, cockpit table, dining on deck. Communications Cellular phone, Fax, SSB. 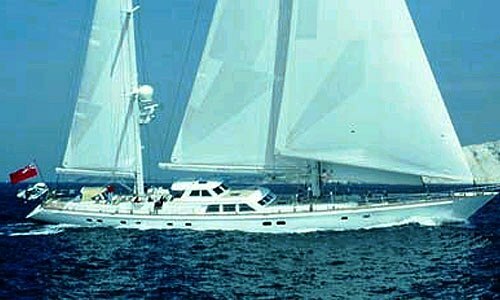 The luxury yacht JULIET displayed on this page is merely informational and she is not necessarily available for yacht charter or for sale, nor is she represented or marketed in anyway by CharterWorld. This web page and the superyacht information contained herein is not contractual. All yacht specifications and informations are displayed in good faith but CharterWorld does not warrant or assume any legal liability or responsibility for the current accuracy, completeness, validity, or usefulness of any superyacht information and/or images displayed. All boat information is subject to change without prior notice and may not be current.